When people choose windows for their homes, they have a lot of different factors to consider. Sadly, however, most construction companies and private consumers largely base their selections solely upon cost. 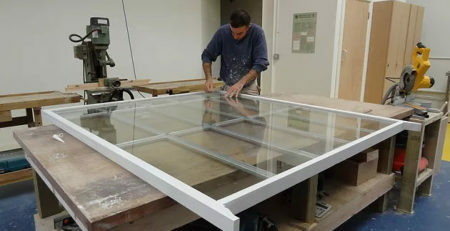 With the sash windows London locals provide, homeowners can get high-quality and long-lasting products. They can also a vast range of benefits that many of the most affordable and common, modern window styles simply don’t provide. Following are just a few of the many wonderful advantages that you can gain by investing in these products. To start, sashes are obviously ranked among the most aesthetically pleasing window choices currently available. This has actually be a major appeal of these options since their introduction in 1670. Units like these have long been found in Georgian homes, Victorian homes and Edwardian homes. They give properties a classic and sophisticated look that cannot be obtained through vinyl, or metal window designs. This is especially important to remember when looking for a way to improve upon existing construction. If you own a dated property that currently has all-wood windows and these windows need to be replaced, you should definitely stick with sashes rather than opting for a cheaper, lower quality option. All-wood windows are great for homeowners who want to reduce their energy consumption. Wood is an excellent form of insulation given that it is not very good at conducting heat. As such, an all-wood window will help block out excess heat during the summer while keeping the warm air trapped ion the inside of the property during the winter. If you choose to have all-wood sash windows installed and opt to get double-glazing technologies as well, you are virtually guaranteed to see a rapid and very significant decrease in your monthly energy bills. This is also ideal for those who wish to lower their carbon footprints by making their homes more efficient in a long-term fashion. With the right sash designs, it is even possible to dramatically reduce the entire household’s reliance upon any electrical cooling system that’s currently installed. This is because sashes provide an amazing amount of ventilation. Even cracking these slightly will provide plenty of cool air flow. With several sash windows cracked throughout the home, property residents can enjoy a strong and consistent cross breeze that both creates a comfortable and habitable indoor environment and flushes stale air and trapped toxins out. As such, structures like these are even great for improving indoor air qualities. Surprisingly, sash window designs can also make homes much more secure than many other modern window choices. This is because these types of windows can actually be locked into a fixed position after they have been opened. If you like sleeping with your sash windows cracked at night and do not want to worry about having someone push them open and slip inside, you can simply engage their locks after you have lifted or lowered your sashes to the desired level. This makes it possible for homeowners with sash windows to enjoy cool, evening breezes on hot, stifling summer nights, without fear of allowing unauthorized individuals to sneak into their abodes. Some people are simply taken with these windows types as the result of their historic appeal. The first of these units was introduced in 1670 and many Edwardian, Victorian and Georgian homes have been built with these units since this time. Thus, those who have opted to invest in dated properties will likely have to repair, restore or upgrade sash windows at some point in time. Keeping these eye-catching features in place is often a very vital part of maintaining the historic authenticity of these units. Fortunately, there are a number of reputable installers who can assist in these efforts. In fact, even in instances in which problems with wear and tear are extreme, seasoned professionals are always able to salvage hardware and other original elements to arrive at truly impressive results. If you are wanting to know more about the merit of these products, you also need to consider the fact that the basic materials for projects like these can always be sourced in a safe and sustainable way. While many people cite deforestation as a reason to potentially start moving away from all-wood products, a reputable, ethical supply will always get hardwood for these jobs in an environmentally-friendly way. 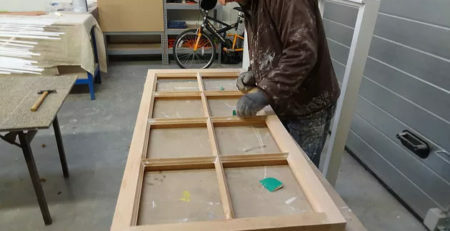 Moreover, it takes 800 times less energy to make a wooden window frame than it does to make a frame that is comprised of PVC. It is also important to note that these wooden frames can literally last for centuries. Although homeowners will need to have wood sources for the initial installation, it is not likely that these efforts will need to be repeated again within their lifetimes. For homeowners who want increased energy efficiency from these units, there is also the option to upgrade to innovative, double glazed sash window designs. With these units, two separate pieces of glass exist within a single glazing section. The space between these panes is then filled in with argon gas. This creates a very effective barrier between the outside world and the inside living environment. Due to this fact, less warm air is able to escape out and no outside air is able to get in. The only time that the outdoor elements can have an impact on the interior living environment is when property residents allow it to do so by purposefully opening these very solid structures up. 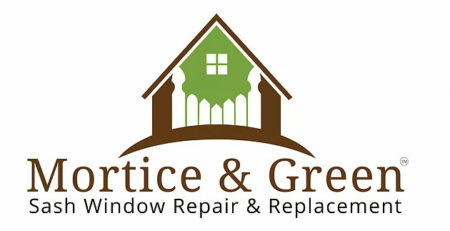 There is also the option to enhance double glazed windows with special coatings that block out harmful UV rays. These are ideal for residents who are worried about the effects that the sun will have on their skin as the result of exposure indoors. These coatings also provide the additional benefit of preventing fading at the carpet, the rugs, the upholstered furnishings and across other decor that is constantly exposed to natural light. While sash windows have been around for several centuries, the ongoing evolution of these products have given homeowners access to a vast range of exciting features and functions that only add further value to these very popular home additions.